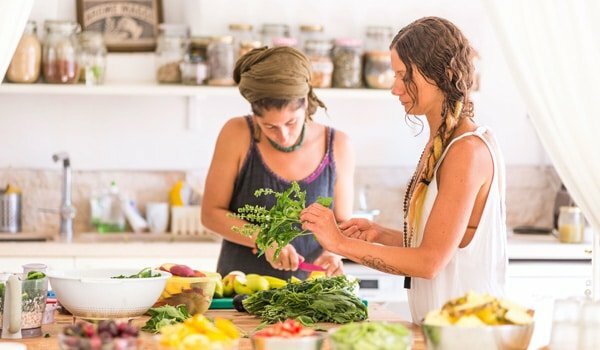 This 6-night retreat features a series of inspiring yoga classes and guided meditation with Leah. Brunch, tea, and supper are also included, plus evening activities. Additional activities such as scenic cycling, raw cuisine workshop & gong sound bath are optional extras. You don’t need any yoga experience to enjoy this retreat, but a reasonable fitness level is recommended. Options to relax at home, or chose an excursion e.g. to a seaside beach (when sunny), or visit Ostuni which is entirely made of round stone Trullo houses, or visit Matera, European City of Culture 2019. On Friday evening you might like to end the week by dining out in Martina Franca, or Locorotondo. Menu approx €25 per person + wine. 8am Self-practice morning yoga session. Breakfast at 9am, then fond farewells & airport transfers at 10am. Leah is an experienced yoga teacher who has been teaching since 2001 and has been with Kaliyoga since 2010. Her yoga classes feature classical sequences focusing on functional movement, adapting the sessions for all abilities, whether novice or experienced. If you want to deepen your understanding of yoga, you will be amazed at how much you can learn in just one week. Holly focuses on opening up your pathways of awareness through clarity, relaxed sensitivity, and a flowing sense of ease that will support you, empower you and help you to live through stressful times with skill. Her warm, inclusive and non–dogmatic approach invites you to experience the authentic power of yoga. Lauren’s morning yoga classes feature powerful dynamic flows with detailed step by step instruction and gentle humour; evening classes mix resting and restorative poses to nurture your body and mind. Teachings focus on alignment and breath, helping you to feel the evolution of yoga inside you. Morning and evening classes are accessible to all; private sessions are tailored to your individual needs. The area is moderately hilly and a reasonable level of muscular and cardio fitness is required, but don’t let a painful knee prevent you from riding, for a small fee we can arrange an electric-assisted bike. En route you will see many of Puglia’s iconic Trullo houses, olive terraces, gentle rolling hills, and you can reward yourself with a picnic lunch (included) and then – after the ride – a delicious Italian ice cream in a local gelateria. We provide you with a quality touring bike and a cycle helmet. For your additional comfort, we recommend bringing a pair of padded cycle shorts. If cycling is not your thing, there are safe local walks (with or without a map) and even a very grateful dog for company. Our delicious, healthy vegetarian cuisine is light, gluten free, vegan/coeliac friendly and absolutely wholesome. We will happily work around your food allergies. For a pleasurable treat that will contribute greatly to your retreat experience, we highly recommend a therapeutic treatment. Subject to availability, our hand-picked team of holistic bodyworkers will help to unwind your physical tension, which will also relax your mind. This is a 2 hour session, focusing on the creation of a whole meal. Menu example: Raw zucchini lasagna, vegetable stuffed gluten-free pastry, raw blueberry cheesecake. Cost per person €30 (four persons minimum). Evenings can be social during and after supper, or you can find a quiet spot and do your own thing. We have two sitting rooms for you to curl up and relax with a good book; or perhaps go for an evening stroll – the pet dogs who live in the field would be delighted to accompany you. On two evenings we offer a chanting session in the Masseria’s vaulted living room – lovely acoustics – and ecstatic dance for anyone with a passion for music and letting go. Kaliyoga’s Puglia retreat is located in the beautiful Itria Valley, 80 mins south of Bari airport in the garden province of Puglia. Puglia is voted by National Geographic as the most beautiful place in the world. The property is a grand 16th century farmhouse with spacious accommodation in the main building and in iconic Trullo cottages.